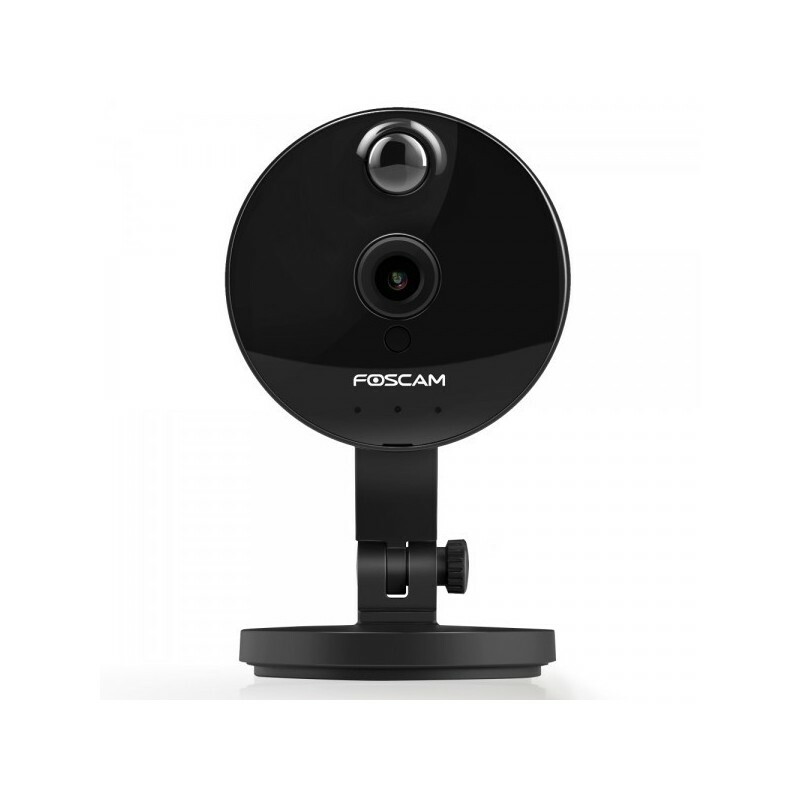 IP camera Foscam C1 , indoor smart camera for home and office, ideal for discrete areas for its design and size. Wireless Wifi. 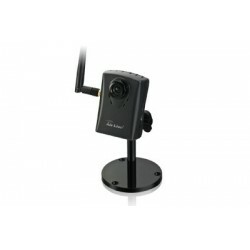 Encompassed in cheap wifi IP cameras, but of quality. 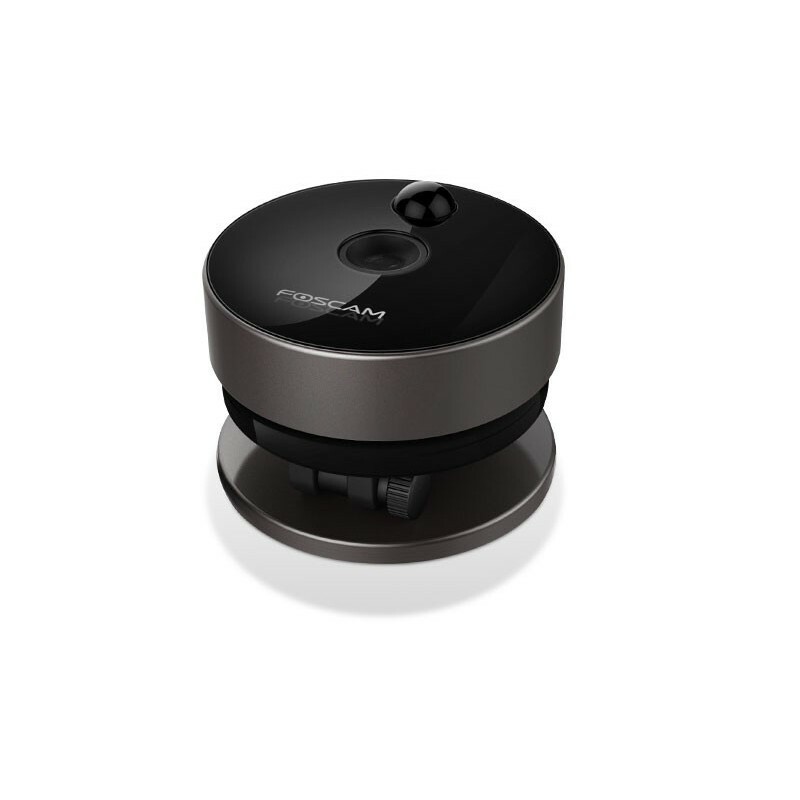 When what we are looking for is an indoor wifi camera with an innovative design, for indoor use and it is also discreet, elegant and intelligent, we find the answer in this Foscam C1. 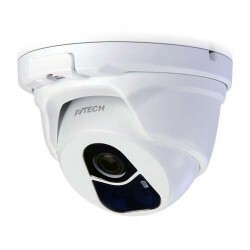 Because it also offers us a high quality 1.0Mpx HD video with a wide-angle lens of - 115º opening and with a range of up to 8 meters in night vision. 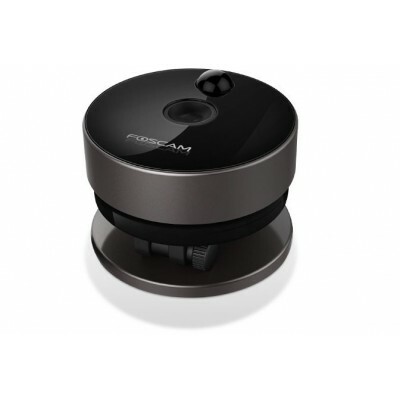 The Foscam C1 is fully accessible from the internet and compatible with Mac, Windows, Linux, iPhone, iPad, Android. 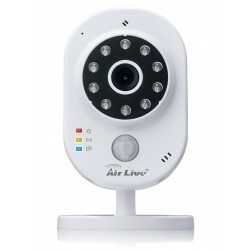 Despite being one of our cheap Wi-Fi IP cameras, it has motion detection, night vision, alarm sending by email and Push notification to mobile. 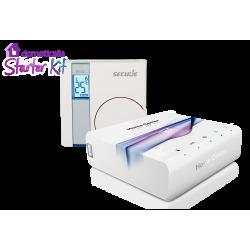 It is compatible with many NAS systems and without a doubt, is designed to meet the needs of customers in terms of home and office security. 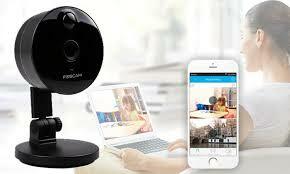 With the indoor IP Foscam C1 camera , questions like: Will the baby have woken up? or ... What will the dog or cats be doing? Finally, they are resolved with an irresistible price and unsurpassed quality . Easy to install in any corner of your home, with rounded edges and 115 ° viewing angle. It is easy to mount on a wall, placed on a table or installed on the ceiling. It can cover most of the irregular rooms with its wide 115 ° viewing angle. 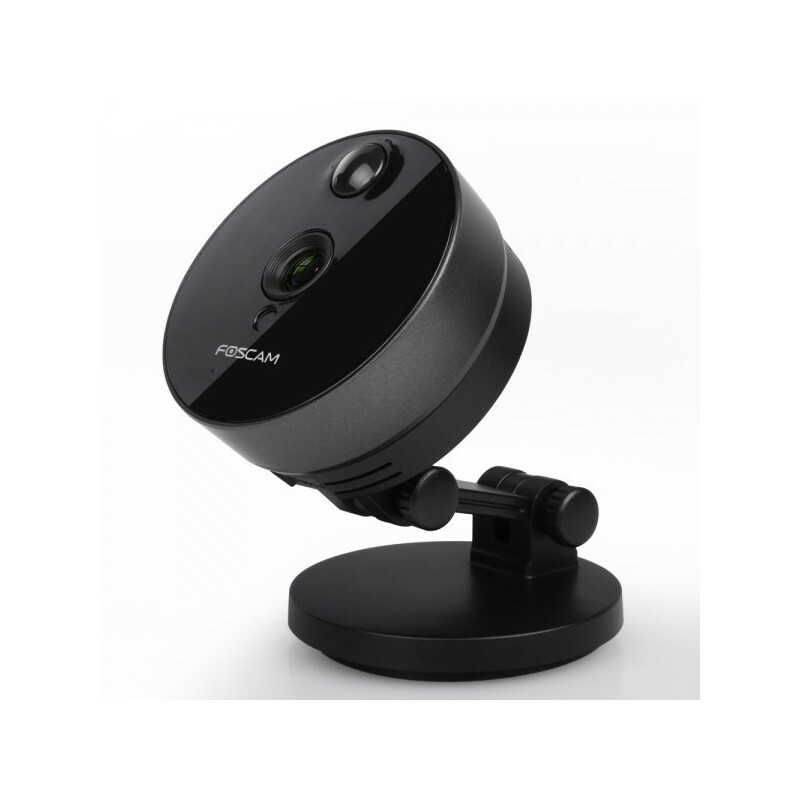 Foscam C1 HD, Wifi, 115 ° of viewing angle, supports MicroSD memory up to 32GB (not included). 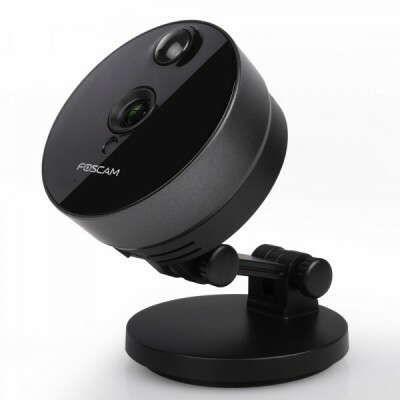 · Fixed camera Foscam for interior with HD resolution. · P2P: EZ-Link technology that facilitates access from the Internet. * Compatible with iPhone, iPad and Android. · High Resolution: 720p HD 1280 X 720 pixels.
. Integrated microphone and loudspeaker. 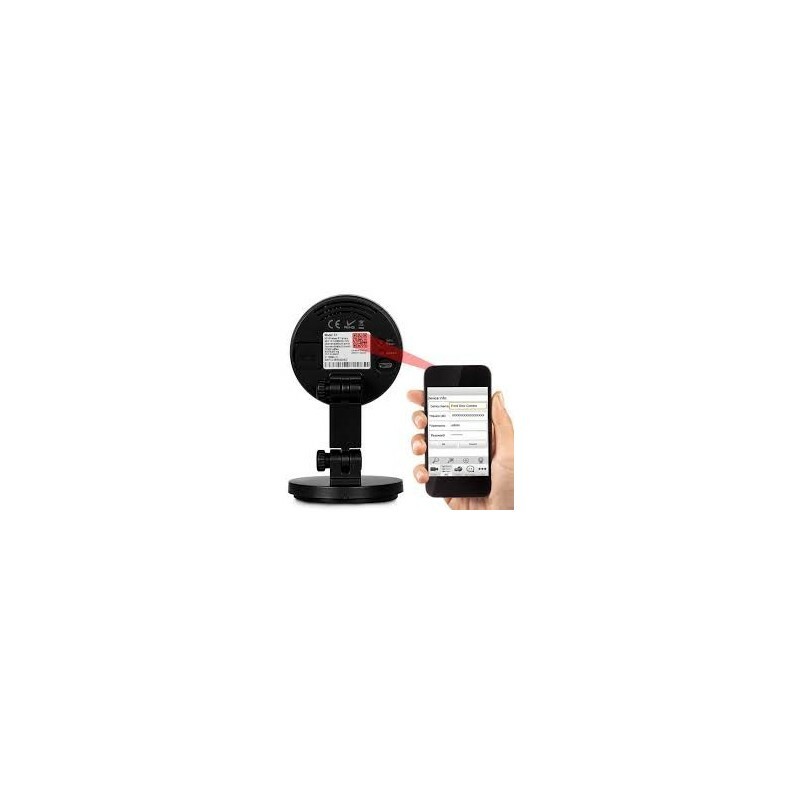 · P2P: Easier access from the Internet by configuring with a simple QR code. 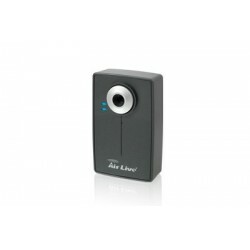 · With IR-Cut sensor that improves the image with more real colors. 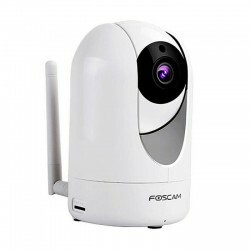 · Includes dynamic DNS resolution (DDNS) of Foscam that is configured from the factory. 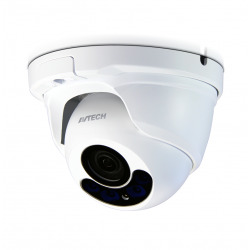 · Supports the Onvif standard. 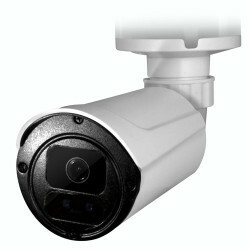 · Advanced infrared LED for night vision with a range of up to 8 meters. 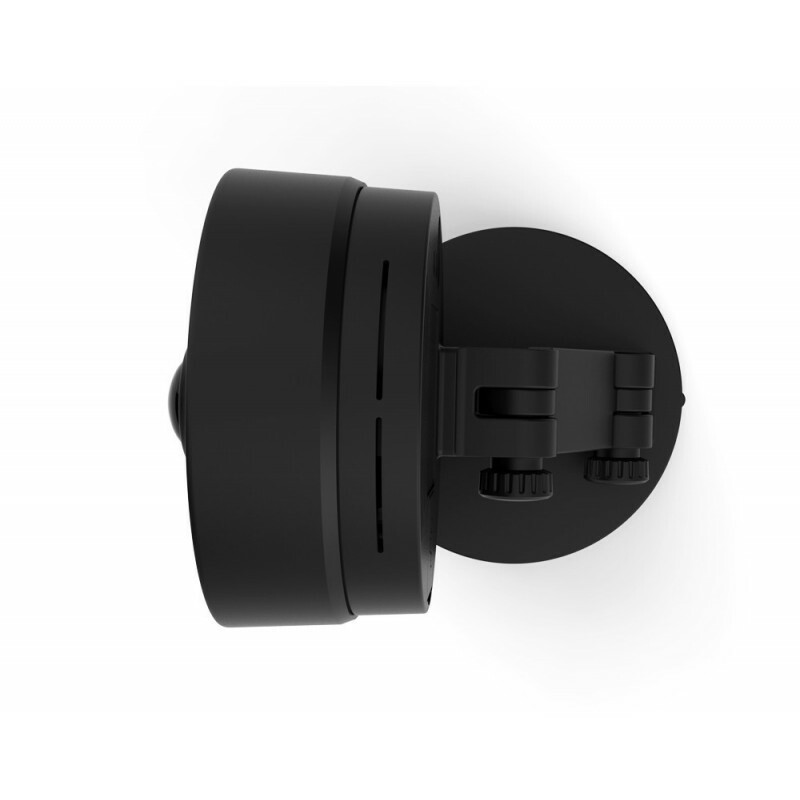 · Ideal for fixing in the false ceiling or simply superimposed on a cabinet or shelf. · Glass lens f: 2.8mm, F: 2.4 (IR Lens). 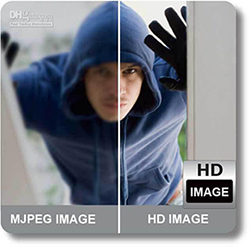 · Image sensor: High Definition CMOS color. · Minimum illumination: 0 Lux. 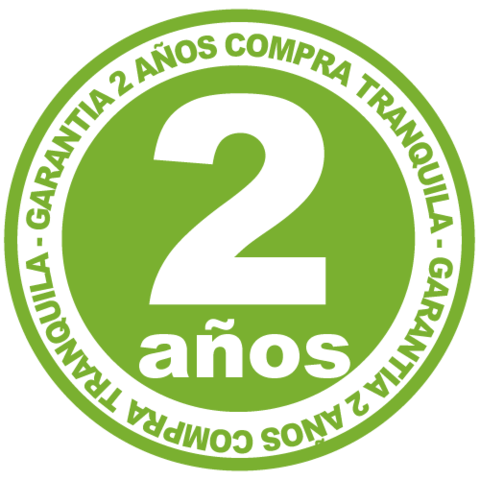 · Resolution: 720p 1280 * 720) 640 x 480 VGA (300K Pixels) and 320 x 240 (QVGA). · "Frames" per second: 15fps (VGA) and 30fps (QVGA). · Using RJ45 Ethernet cable. 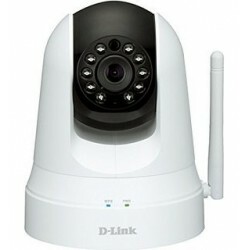 · Wireless (WiFi): IEEE 802.11 b / g / n.
· Wireless security: supports WEP encryption, WPA and WPA2. · Supports protocols: HTTP, FTP, TCP / IP, UDP, SMTP, DHCP, DDNS, PPPoE, UPnP, GPRS. · Records "video clips" on PC when detecting movement. 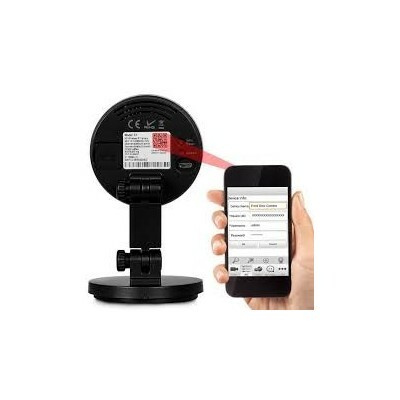 · Alarm: send you photos by eMail when detecting movement. · 3 levels of access with password. 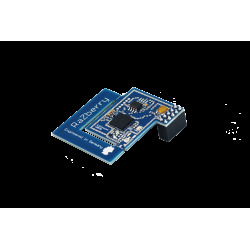 · Quality certifications: FCC, CE, RoHS. 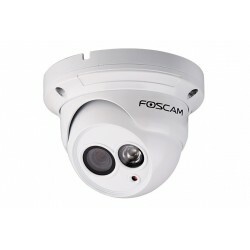 A high definition Foscam (HD) camera is named for the number of pixels that make up the image. 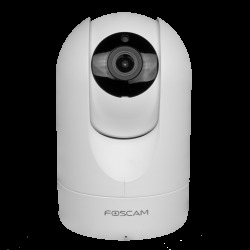 All Foscam IP cameras with HD images have at least 1 MILLION pixels, while a standard resolution camera has about 345,600 pixels of resolution. Therefore Foscam cameras with HD are ideal for facial recognition and for vehicle license plates. 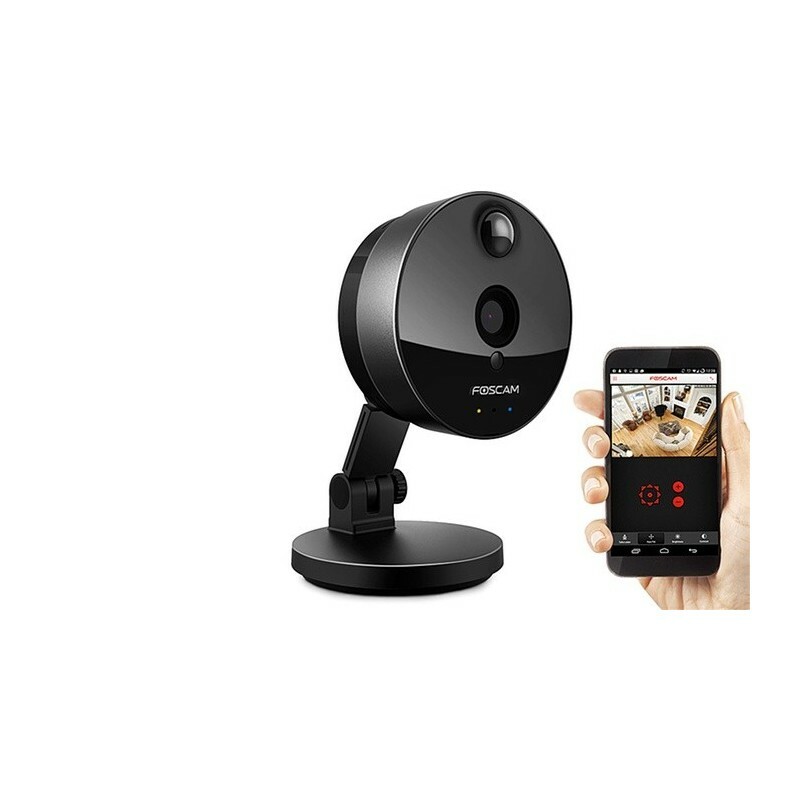 IP cameras Foscam with the HD specification are the most interesting for its application in the field of image-based security, at an affordable price and with extraordinary quality. 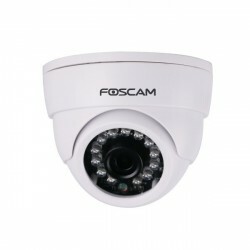 With Foscam IP cameras, in general, you can view from a computer, in real time, using any internet browser (Internet Explorer, Firefox, Google Chrome or Safari ...). 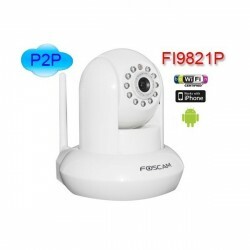 You will also visualize from the mobile phone, either with Android or with iPhone, using the different free applications of the manufacturer Foscam. With applications you can manage and record images, videos and even audio depending on the case. Most models have alarms by motion detection allowing also to plan the days of the week and the hours of the day in which this function is activated. 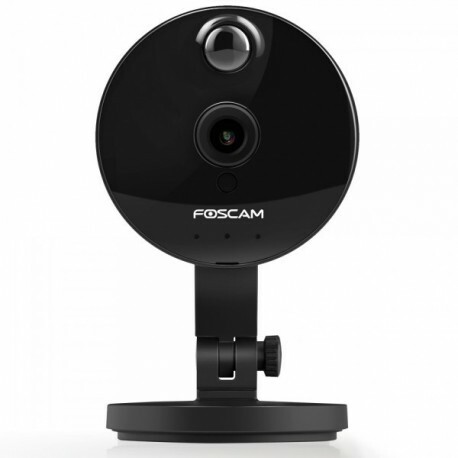 The IP Foscam camera will send you an email with an image if it detects movement. 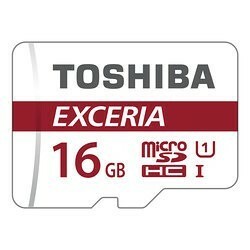 You can also record online video using the browser or smartphone applications. They have almost all indoor models of Foscam audio bidirectional. 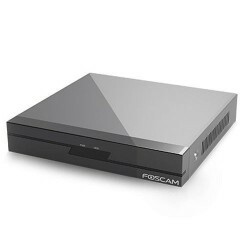 It is powerful and versatile the function of Multi-camera Foscam that allows managing up to 9 cameras from a single screen, accessing a single IP camera as the link between the rest of cameras Foscam. 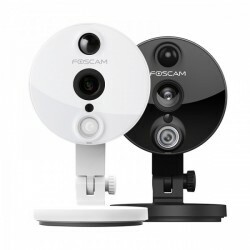 Start enjoying the tranquility offered by Foscam with the model that best suits your needs: you have a wide range of cheap Wi-Fi IP camera models, indoor, outdoor, MJPEG, H264, Motorized, WIFI or PoE, with Zoom .. . 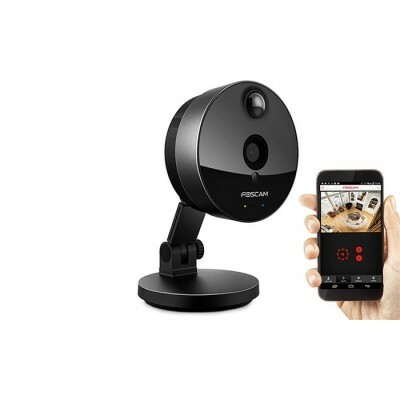 Marketed as cheap wifi IP cameras - they allow you to keep an eye on your properties and domains, as well as your office, your business, your farm, your family and your pets. 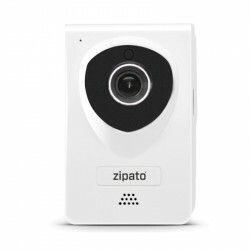 These cameras provide video and audio in real time and are very practical because they can be accessed remotely using an Internet browser or an app on the mobile. 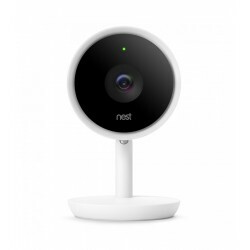 However, many IP cameras on the market are vulnerable to cybercriminals and digital espionage, making security one of the key features when deciding to buy and use IP cameras. Due to our knowledge and commitment to cybersecurity our IP cameras are scrupulously selected complying with strict security and privacy criteria in the IoT. Domestic, business, commercial or office video surveillance with IP cameras has lately become an option available to any user who wants to have greater control over the security of their assets. 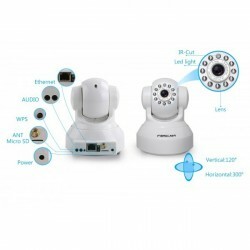 The broadband connections of almost any home or business and the ability to easily install and connect cameras to the Internet have driven multiple IP video surveillance options that do not require large outlays. Our systems can be applied for multiple purposes: for example the control of minors, baby monitors, the surveillance of a country house or second residence remotely, or the checking of guidelines or behaviors in a store or a remote video surveillance business. Let's not forget in any case, that despite the many advantages offered by IP cameras, we must take into account in certain cases that having installed IP video surveillance systems requires us to comply with the Organic Law on Data Protection ( LOPD).